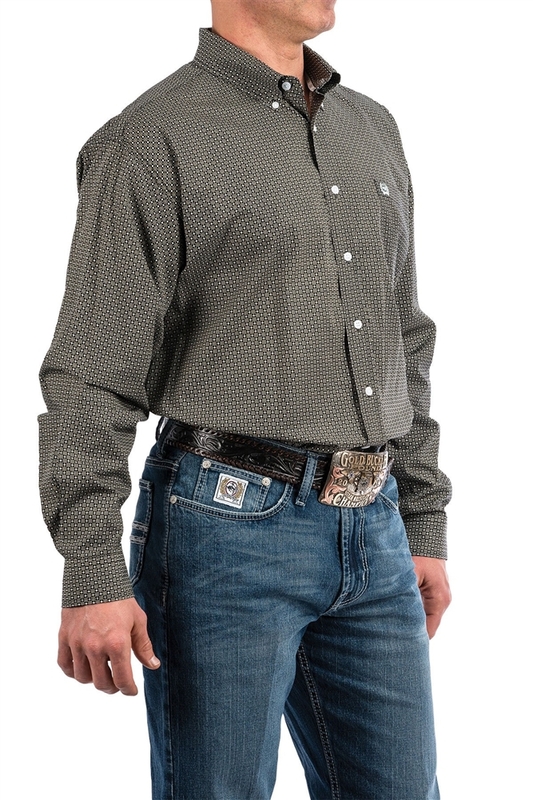 Mens Cinch® Long Sleeve Grey & Lime Diamond Print Shirt - Classic Fit The black, white and gold pattern of this Cinch Classic Fit shirt are eye catching. 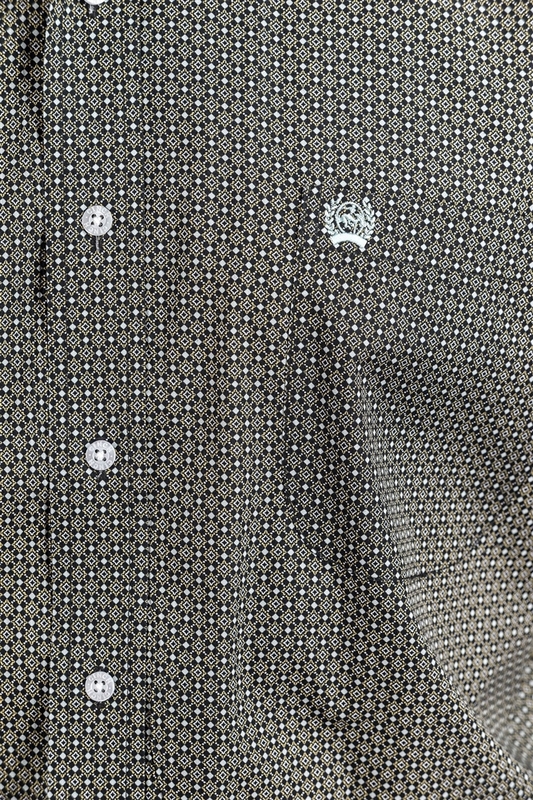 Sure to make you stand out in a crowd. 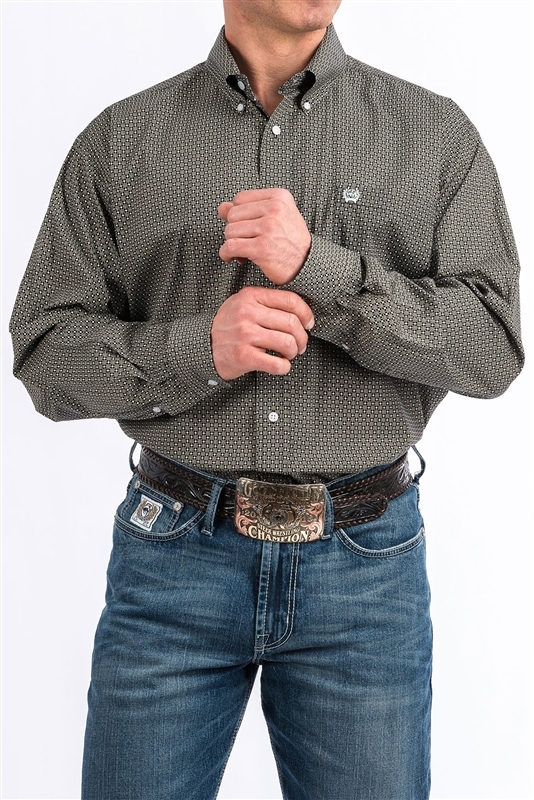 Pair with a vest and jeans for a trendy winter look or plain for a western lifestyle.